Another reason to be proactive with tree removal is, insurance companies don’t want to pay for damages when an unhealthy tree falls on your home. Did you know it is the home owner’s responsibility to cut down harmful trees? 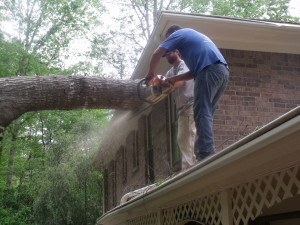 Sharp Tree Service specializes in unhealthy tree removal which includes a full on-site consultation and a professional recommendation as to whether it should be removed or not. With the danger of looming storms especially in Cobb County, if you notice signs of unhealthy trees call Sharp Tree Service for a FREE QUOTE today!